I’m taking Trollope’s Last Chronicle of Barset with me; have got to p. 500 or so, but 400 pp. remain, so I need another one to follow up with – I have a whole week, with plane trips to fill with reading. So that Glendinning biography will come in handy, maybe when I get back. Too heavy for plane travel. I posted with muted enthusiasm on Elaine Dundy’s The Dud Avocado recently, and Jacqui (Wine) wrote about it just a week ago, so am interested to see what The Old Man and Me is like. One of the better new VMC covers, I think. 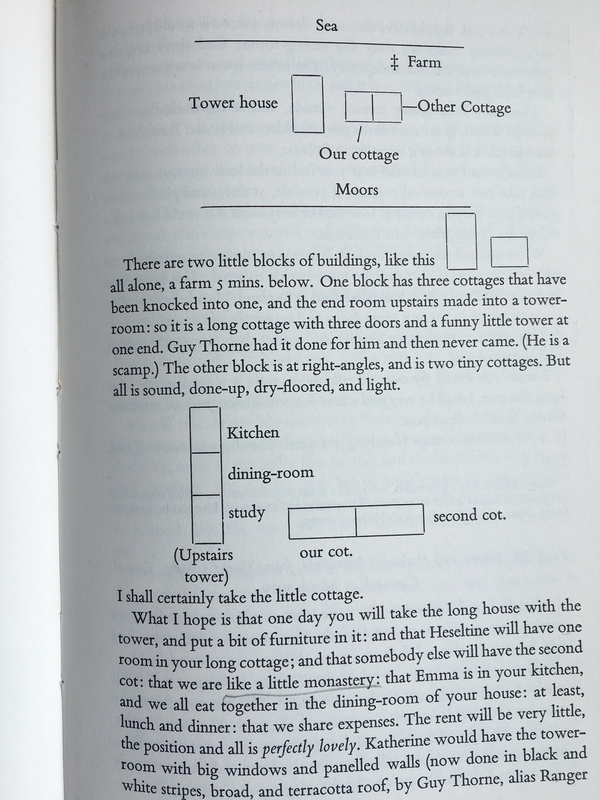 I used to have a copy of that Eliot prose collection – it might still be lurking in a box in the cellar or garage – but I noticed there’s an essay on Tennyson’s ‘In Memoriam’, so had to make sure, as I’ll be teaching it this year again. The book on the Spanish Civil War will be appropriate for where I’m going; sounds like an interesting take on the subject. The blurb says it focuses on the impact of the war on writers and artists, and on technology – military and medical. 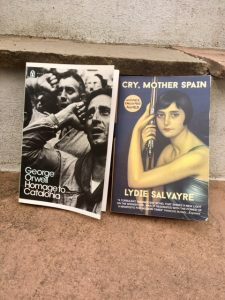 This summer I’ve reread Orwell’s Homage to Catalonia, and read a fine French-Spanish novel on the subject: Cry, Mother Spain, by Lydie Salvayre, so it’ll be good to see what Rhodes has to say. When I got home that Quimper ARC from those fine people at QC Fiction (Québec City) was in the mail. I have a bit of a backlog of their titles to post on here; another task for when I’m back. I’ve found all of their backlist stimulating so far. Now to finish packing – and a few more pages of Trollope. Granddaughter (E, aged 10) has returned home after her week’s holiday alone with us here in Cornwall. On her last full day we sat in the garden, enjoying a beautiful sunny day. A few cotton-wool clouds drifted sleepily across the bright blue sky, and we amused ourselves deciding what we could see in their shapes. Where I saw a donkey, she saw a bunny. Me: a sad horse; her: a squeaky mouse. Well, she is ten, and loves unicorns and fluffy things. The perception of recognizable patterns or images, in random or vague arrangements of shapes, lines, colours, etc. It’s from the German via Greek ‘para’ – alongside, instead of (i.e. wrong); ‘eidolon’ – image, form, shape, likeness (from which we take our word ‘idol’). According to Wikipedia’s account of the term, our brains are wired to identify human faces in particular in all kinds of unlikely situations: two fried eggs and a sausage in a cooked breakfast, or smiley faces in emojis consisting of a colon and a bracket. We even attribute emotions to these images – hence the smiley face; it seems it’s probably something to do with our cognitive processing of human emotion in others – or possibly for distinguishing friendly from potentially hostile approaching shapes at the subconscious or pre-conscious level. Hence we see a ‘man in the moon’ formed of craters in the full moon’s sphere, or old men’s faces in rock formations. Many astronomical groups are named as a consequence of their resemblance to terrestrial objects like horses’ heads, ploughs or great bears. I’ve seen Don Quixote’s gaunt features in the abstract shapes on the tiles in my bathroom. Stories abound of religious imagery like faces of the Virgin Mary or Jesus in foods or vegetables; Mother Teresa’s likeness was said to be found in a cinnamon bun in Nashville in 1996. I seem to recall that such items sell for large sums on eBay. 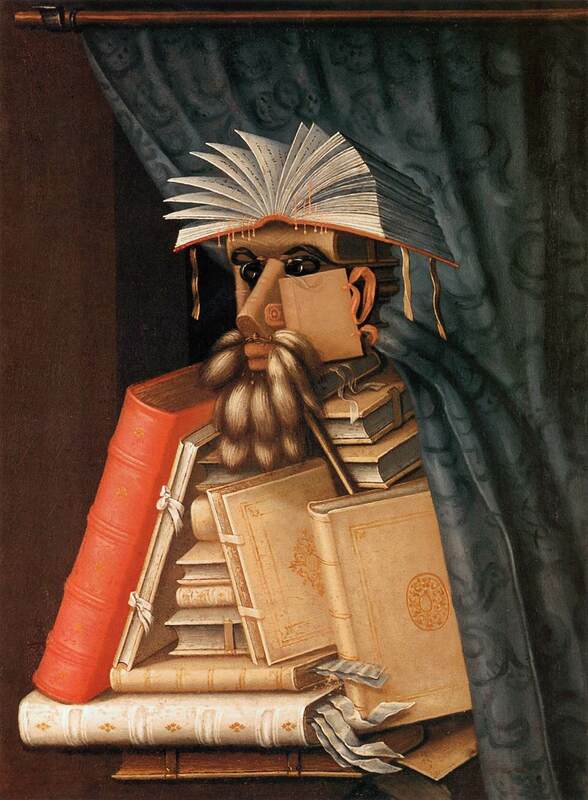 Giuseppe Arcimboldo, ‘The Librarian’, c. 1566, now in Skokloster Castle, Sweden. 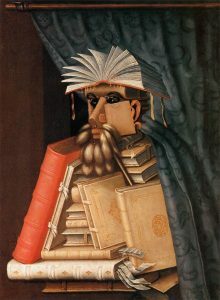 Arcimboldo specialised in paintings which looked like human figures but which were made up, on closer examination, of configurations of vegetables, plants, flowers and other non-human objects. The Rorshach inkblot test works on similar principles as a means of the analyst’s determining a person’s psychological state – we tend to project on to such shapes images we’re inclined to see. Even ghost imagery may owe something to the way shadows cast by harmless objects can resemble more sinister entities which are taken by the frightened human as some supernatural emanation (though winding sheets on corpses play a role here, too). Pareidolia is said to be a sub-set of APOPHENIA: a tendency to see connections between unrelated things – a condition commonly found, apparently, in conditions like schizophrenia, or to account for gamblers believing they detect patterns in random sequences. The ‘phrenia’ element there comes from the Greek for mind or cognitive faculties; the -phenia element may come from ‘phainein’ – Greek for ‘make appear’ – though it appears there’s some confusion over the etymology of ‘apophenia’. It’s sort of an antonym of ‘epiphany’ – which signifies an illuminating insight into to the innate reality of something. I decided not to share any of this with E: she is only ten. Happy with her bunnies and unicorns, untroubled by apophenia. She’s heavily into slime at the moment. Our 10-year-old granddaughter is staying with me and Mrs TD for a week. She comes for a stay with us every summer, but this is the first time without her big brother – he’s on a sea cadet camp. “I’ll be a lonely child,” she told us happily. “Don’t you mean only child?” my wife asked. “No,” she said happily; “lonely”. 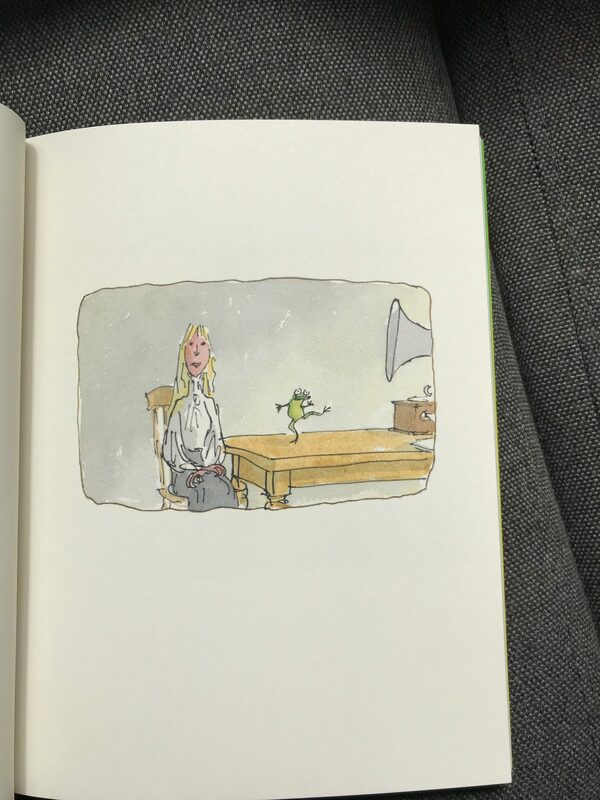 On Wednesday we took her to the afternoon performance of Kneehigh Theatre’s show ‘The Dancing Frog’, based on the children’s story by the gifted illustrator and writer Quentin Blake. It’s directed by Mike Shepherd, one of Kneehigh’s founders. 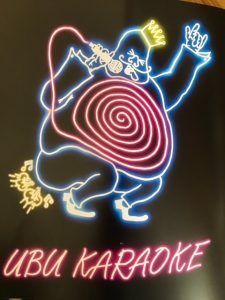 We went last time with her parents to see Ubu Karaoke, which I posted about last week. This show is more suitable for a younger audience, and sure enough there was a row of tots sitting on cushions on the floor just in front of the performing area. They entered into the audience participation moments with gusto – we all did, it was irresistible. It was typically exuberant, inventive and multi-talented Kneehigh. Elderly Gertrude, played by singing, accordion-playing Tim Dalling (who plays an array of other characters in the show), meets her youthful self (Jenny Beare), and they share memories of her sailor husband (also played by Tim), who drowned at sea (though we get to see some startlingly brief shore leaves before his ship hits an iceberg). Heartbroken, Gertrude stands by the river, feeling she can’t live without the love of her life. Like Ophelia, she enters the water, but as she sinks down, a frog swims in front of her and they surface. 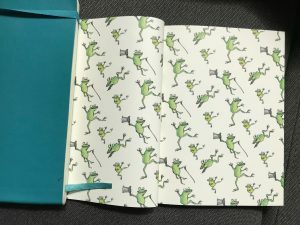 Then the frog dances for her. Entranced, Gertrude takes him home. He loves to dance to the music on her record player. Soon he’s performing on stage, at first in England (he makes his name as a replacement for a talking dog who develops a sore throat and can’t go on stage), and goes on tour all over the world. We’re treated to cameo performances of his remarkable choreography in all the major world capitals, from flamenco in Spain to Swan Lake in Russia – memorably staged in front of us complete with corps-de-ballet in tutus and an evil villain. George performs a stunning solo. 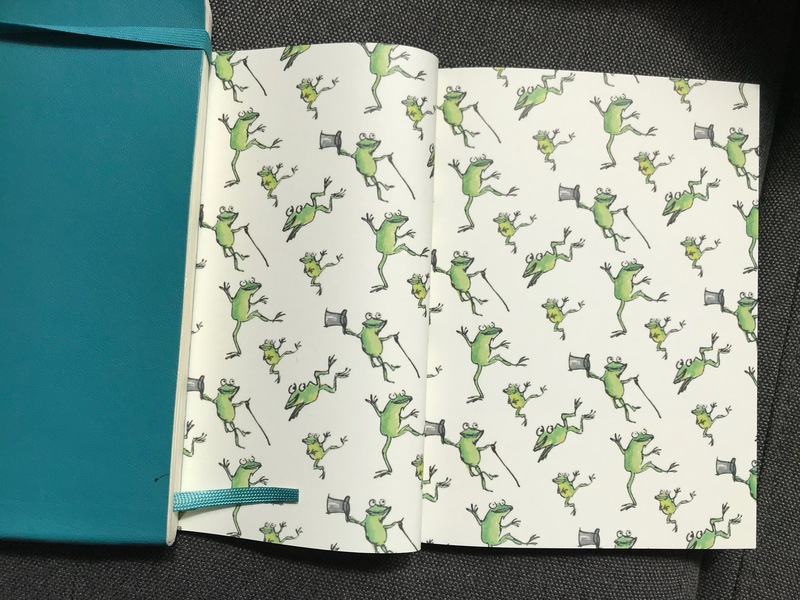 There’s a heart-stopping scene at the end when George the frog is trapped by a fire on the 13th floor of his New York hotel. Gertrude stands below with a bucket of water: George has to leap into it – will he survive? You’ll have to go the show to find out! It’s an absolutely delightful piece of imaginative theatre. 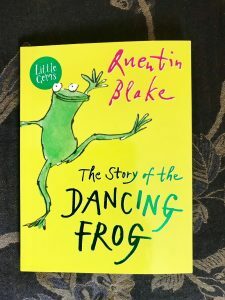 The puppet frog (who looks just like drawings in Blake’s book) is handled by Alisa Dalling. Although she’s more or less holding him to make him move and dance, we quickly forgot her presence and believed entirely that this cheerful green creature was a living, worm-chomping amphibian who saved Gertrude from grief, and charmed all who saw him (apart from a nasty landlady and some rascally theatre folk who wanted to lock George up and force him to perform without Gertrude’s protection and love). ‘You can do all kinds of things if you need to enough’. The story is told with bracing vigour, humour, pathos and panache, with perfectly chosen music and songs (some original and cleverly pertinent to the plot and characters), dance and mime. There’s particularly clever use of props, like aeroplanes, butterflies, the husband’s ship (and that nasty iceberg) – and even the flames of the fire. We all agreed afterwards that we’d enjoyed the show immensely, and completely suspended our disbelief. I’d highly recommend you go and see this terrifically entertaining show if you get the chance – or read the book if you can’t. I’d thought this was a novel about John Clare and his 90-mile walk home to Northamptonshire in 1841 from what was then known as a lunatic asylum in Epping Forest, on the fringes of London. 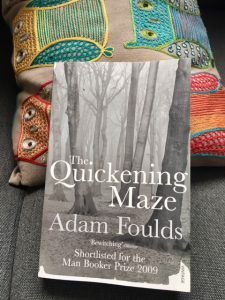 The main characters in Adam Foulds’s novel, however, are Matthew Allen, the enlightened (for those times) proprietor of High Beach, and his sporadically precocious, often awkward 17-year-old daughter Hannah. The so-called peasant poet’s absconding and trek only feature in the closing pages, and he flits like a troubled phantom as just one (ok, the most prominent) of several distressed and deluded inmates of the asylum who feature throughout the narrative. Hannah develops a crush on new neighbour the poet Alfred Tennyson, whose brother suffers from depression, ‘the English malady’ Allen calls it (I’d always thought that was another thing) and becomes another of Allen’s patients. Tennyson inclines that way a little himself after the death of his dear friend Hallam – he was starting to compose the poem about him that would help establish his reputation later. Poor callow Hannah is too inexperienced to recognise she can’t compete with Hallam. The asylum and the experiences of the inmates are portrayed at times with wit and sympathy, but at others there are scenes that are chilling, often stomach-churning (depending on the severity of the patient’s condition). There are two main sites at the asylum: benign Fairmead House, for those well enough to receive the gentler therapy mentioned above, ‘full of gentle disorder, idiocy and convalescence’. Some aren’t even mad at all; they’ve been incarcerated, as so many were in the Victorian era, for reasons of family expediency. [The Lodge] was full of real madness, of agony, people lost to themselves. They were fierce and unpredictable. They smelled rank. They were obscene. They made sudden noises. Their suffering was bottomless. It was an abyss of contorted humanity, a circle of hell. Here we see the strengths of Foulds’s prose. Not surprisingly for a writer who’d previously published mostly poetry, it’s highly poetic. There are striking images and lilting cadences. At its best this prose soars. The tree looked ardent, single-minded, standing there and declaring its flowers straight out of the wet, gnarled wood. The description is partly to be understood as Hannah’s perspective, with maybe a touch of the sentimental-romantic friend’s, too, while the closing words are surely those of the poet-novelist. ‘Gnarled’ is such a good, twisty word. I’m not sure what ‘declaring its flowers’ is about, though. The narrative structure is fragmentary, almost collage, which works quite well as a means of depicting the fractured, hallucinatory nature of the minds of the inmates (and the sensibilities of the supposedly sane, including Allen, with his crackpot schemes and tendency to bankrupt himself on them, and the earnest, hopeful Hannah, painfully self-conscious about her unfinished poise, blushes and, well, sweating unbecomingly and at the most embarrassing moments). Clare’s delusions are particularly poignantly portrayed. At times believing he’s a prize-fighter, he also believes at others that he’s Lord Byron or even Shakespeare. There are some interesting scenes where he consorts with gypsies (he’d spent some of his earlier years with travelling folk, and felt a deep sympathy with their unbridled culture). It’s an interesting novel, but that poetic style is sometimes intrusive, and so is the rather too evident thorough period research. The ways the plot’s various elements are resolved, however, are startlingly effective, and make some powerful statements about the hypocrisies and delusions of the supposedly sane Victorian ‘maze of life’. 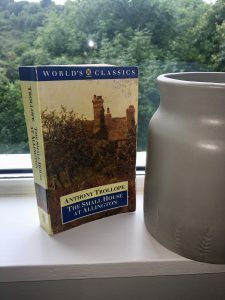 I hadn’t intended returning to Anthony Trollope’s fifth Barsetshire novel, The Small House at Allington, after my post about it last time. But I felt I needed to indicate some of its strengths I didn’t have space for there. She had endured for years, and now Alexandrina was unable to endure for six months. Her chief grievance, moreover, was this, – that her husband was silent. The mother felt that no woman had a right to complain of any such sorrow as that. If her earl had sinned only in that way, she would have been content to have remained by him till the last! In an earlier scene Johnny Eames, the annoyingly earnest, ingenuous young man who’d loved Lily since they were children together, has to do some enduring of his own. Lily’s engagement to Crosbie had been announced, and the dashing intruder ‘swell’ from London, his hated and now more successful rival, is on a visit to his mother’s humble home from the grander surroundings of the ‘big house’ at Allington where he was staying. 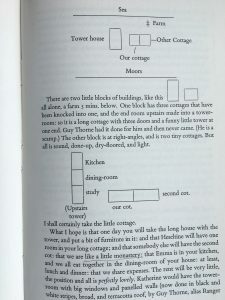 Crosbie reveals an early sign of his capacity for unpleasantness beneath the Apollonian surface: he haughtily refuses all of the flustered, awe-struck Mrs Eames’s offered refreshments, partly from snobbishness at the humble simplicity of this country cottage and hostess, and also because he knows of the son’s hopeless love for his fiancée, and ‘despises’ him for it. The little sacrifices of society are all made by women, as are all the great sacrifices of life. A man who is good for anything is always ready for his duty, and so is a good woman always ready for a sacrifice. True, it’s hardly a great sacrifice, and there’s some irony here; but it’s a telling act of kindness by the Dale sisters, showing compassion for an honest, anxious woman who is suffering at the treatment of a callous cad who is supposed to be a gentleman – one who knows his ‘duty’, and is displaying here and about to show in his treatment of Lily his contempt for all that being a gentleman entails. I hadn’t thought of Trollope as a humourist before starting these Barsetshire novels, even less as a proto-feminist. Although he does rather disappointingly often portray women characters as stereotypical ‘angels’, in these later novels he’s showing his ability to create complex, interesting ones, too (Amelia Roper is one of several in this novel), and narrative sympathy for their not always happy lot in Victorian society. And he can be very funny. We get to meet Plantagenet Palliser here, too, who is to feature in the next series of novels, to which I hope to turn fairly soon. 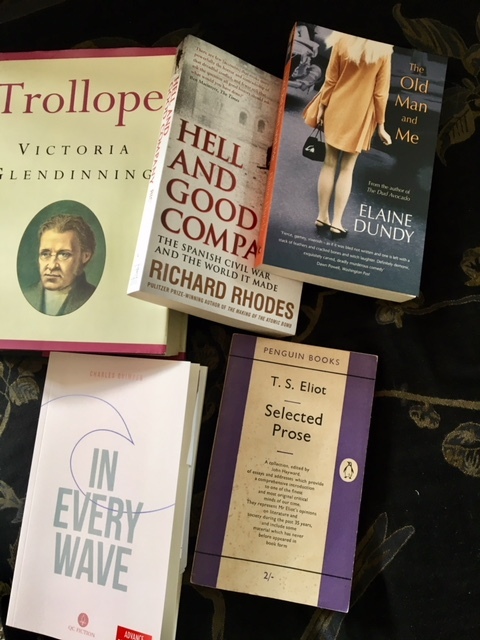 Kindly old Septimus Harding pops up unexpectedly, too (along with several others from the earlier novels), tellingly in the company of the treacherous Crosbie. The handsome young cad doesn’t show up well in this saintly company either. This fifth novel in the Chronicles of Barsetshire, published 1862-64, is different from its predecessors. Anthony Trollope refrains from giving his central female character the happy ending enjoyed by the romantic ladies in the previous marriage plots. There are some satisfactory matches made, but here he seems more interested in other matters. For my reader must know that she is to be very dear, and that my story will be nothing to him [sic] if he do not love Lily Dale. Lily has no money. Crosbie has just £700 and a small patrimony – not enough for him to marry a dear, delightful but penniless girl and carry on living the lavish bachelor life he enjoys in swanky London society. It’s not hard to figure where this is going. Lily is not destined, like some earlier versions of her in Trollope, to find herself conveniently a wealthy heiress in the final act, thus rendering her eligible to handsome, weak-willed predators like Crosbie. I do not say that Mr Crosbie will be our hero, seeing that that part in the drama will be cut up, as it were, into fragments…among two or more, probably among three or four, young gentlemen – to none of whom will be vouchsafed the privilege of much heroic action. Those other ‘young gentlemen’ are neither heroic nor very interesting, and Trollope predictably provides them with bad first choices for wives, then most of them see the light and marry the right young ladies. In resisting the temptation to do this with Crosbie and Lily he darkens the tone that had threatened to become twee and formulaic in the earlier Barsetshire novels. I found the non-romantic, older characters the most engaging, especially truculent Squire Dale. He’s the owner of both the Allington houses, having inherited his estate with £3000 per annum (Trollope as usual tells us exactly what his main characters are worth; with the younger ones in particular this has important consequences for their marriage prospects – see Crosbie above). Trollope is getting better at creating complex conflicted characters like Dale. Earlier examples were also among the most interesting in the novels they appeared in, from henpecked Bishop Proudie representing the clergy, and sottish Roger Scruton among the uncultured rich, to Lady Lufton, of the more cultured but imperious variety. In his hard, dry, unpleasant way he had loved the woman; and when at last he learned to know that she would not have his love, he had been unable to transfer his heart to another. A constant, upright, and by no means insincere man was our Christopher Dale, – thin and meagre in his mental attributes…but yet worthy of regard in that he had realized a path of duty and did endeavour to walk therein. And, moreover, our Mr. Christopher Dale was a gentleman. A ‘gentleman’ marks him as potentially good; Trollope doesn’t use this term lightly. And ‘duty’ is a key theme in all the novels in the series so far – usually seen in the context of penniless young ladies or gentlemen ensuring that they marry well and thereby keep their families financially buoyant, while ‘transferring their hearts’ without being too mercenary. forbad you also to take him for a man of great parts, or of a wide capacity. is really an insight into how he perceives himself – it’s a bit of free indirect thought, not objective narrative comment. Unable to stop himself treating them imperiously, he then feels let down when they react as they do. he accused himself in his thoughts rather than others. He declared to himself that he was made to be hated, and protested to himself that it would be well that he should die and be buried out of memory, so that the remaining Dales might have a better chance of living happily; and then as he discussed all this within his own bosom, his thoughts were very tender, and though he was aggrieved, he was most affectionate to those who had most injured him. But it was absolutely beyond his power to reproduce outwardly, with words and outward signs, such thoughts and feelings. This subtle psychological probing is where Trollope is gaining in prowess as a novelist. We get too little of it in his depiction of the central, supposedly most interesting characters (ie those in the romantic plots). His half-serious declarations, in the earlier novels, that he had little interest in plotting, are now not so openly stated; instead he just goes ahead and creates rounded characters like Dale. Lily, Crosbie and the rest of them play their parts to fill out their scenes; the public demanded such romantic comedy of him, and he churned it out. But he also wrote characters like this one, showing where his true authorial interest and skill lay. Dale’s self-pity and wallowing in the consequences of his gruffness are reflected in Lily’s bizarre loyalty to the man who callously breaks her heart. It might annoy or upset readers who want a nice neat ending for the heroine, but thematically and psychologically it’s more like reality and less like the novels that Lily and her sister discuss in a revealing metafictional scene. Such novels are ‘too sweet’, says the more sensible Bell, who doesn’t like them; they’re not ‘real life’. That’s why I do like them, because they are so sweet. A sermon is not to tell you what you are, but what you ought to be, and a novel should tell you not what you are to get, but what you’d like to get. She’s just ghost-written her own sad future and shown her fatal flaw. Like her uncle the squire, she’s too much of a Dale – unswerving to the point of rigidity once she’s decided something, but not good at analysing her own or other people’s characters. Unfortunately for her that decision was to give her heart to Crosbie. She’s a self-created victim, like her uncle. 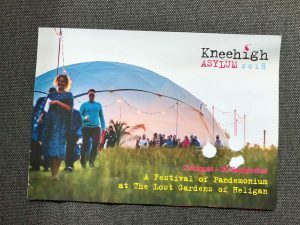 On Saturday I went with Mrs TD and daughter’s family to see the innovative Kneehigh Theatre’s rousing show Ubu Karaoke in their ‘Asylum’ marquee in the beautiful setting of the Lost Gardens of Heligan . We all know an Ubu. Impossibly greedy, unstoppably crude, inexorably hell-bent on making our country great again! The show is staged in the round, with the audience sitting or standing in tiered wooden stalls, but also encouraged to stand next to the action and mingle with the players. The programme boasts with justification that’s it’s ‘as satisfying as Massaoke, and eminently more useful’. A terrific house band, with the glorious name The Sweaty Bureaucrats, belts out a rousing sequence of classic pop and rock tunes to punctuate and illustrate the action. There are electronic info-screens all round the circular tent with a constant stream of hashtag jokes, commentary and lyrics to the songs. The audience are encouraged to sing along; on the Saturday we went they did so with gusto, making a powerful, stirring, hilarous atmosphere. It’s played for laughs, with plenty of scatological humour. The dictator’s henchman, for example, revels in the name Captain Shittabrique (played with panache by Robi Luckay); he feigns disgust at the regular and predictable mispronunciations of his surname. The kids loved that. (So did the adults, really). There’s a serious underlying message, though, as there was in Alfred Jarry’s original anarchic, surreal/Symbolist romp staged for just one performance on its first run in Paris in 1896 – it caused a riot, with its pointed satire on power elites and ridiculing of the establishment and authority. Ubu was Jarry’s bizarre ‘weapon of mass disruption’, a ‘howling, hysterical metaphor for greed’ (programme notes). His play was in turn loosely parodying elements of Hamlet (which Kneehigh keep by having the murdered leader’s ghost appear on a high platform; we know he’s a ghost because he has a paper bag over his head bearing the word ‘GHOST’ on it), King Lear (those crazed, power-mad dynasties) and others I probably missed. 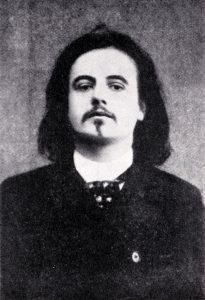 Jarry (1873-1907) was just 23 when his play was first performed. The absurd, strutting, obese, grotesque figure of Ubu is said to have been based on his old physics schoolteacher. His uniquely original theatrical debut made Jarry a prototypical punk superstar. His playful, irreverent use of language, liberally laced with expletives and toilet humour, is retained with gleeful vigour by Kneehigh; our 12-year-old grandson was shocked by some of the more outrageous stuff – but he’s a bit of a prude. Jarry was a forerunner of Dada and Surrealism, and invented the term ‘pataphysics (the redundant apostrophe is intentional). It’s defined as the science of the realm beyond metaphysics, a typically absurdist spin on a serious concept. It’s also been called the science of imaginary solutions, concerned with the laws governing exceptions – the repressed part of a rule that ensures that the rule doesn’t work (obviously). He owes a debt to earlier literary iconoclasts like Rabelais and perhaps Cervantes. There’s also a nod towards the dynastic tragedies of classical theatre (his title and plot in Ubu Roi parodies aspects of Oedipus Rex). He clearly influenced some of his contemporaries like Apollinaire, and later figures from Oulipo, including Raymond Queneau and Georges Perec, as well as Ionesco, Genet, Boris Vian and others. This is all starting to sound very serious and highbrow – but Kneehigh’s Ubu Karaoke gave us as much fun as a theatrical experience as we can remember. The MC (Niall Ashdown) played a deadpan commentator and instigator of mayhem, and produced some brilliant improvised jokes. The deposed President, Nick Dallas, was played with sinister swagger by the excellent and splendidly named Dom Coyote, who also played a mean guitar in the house band. Tom Jackson-Greaves was responsible for the energetic choreography (Kneehigh specialise in physical musical theatre), and came on to do an astonishing solo in the guise of a fourth-wall-breaking barman (there’s a working bar doing a brisk trade throughout the performance). I can’t finish without praising the astonishing cross-dressing lead players. Katy Owen played Mr Ubu, a diminutive but terrifyingly outrageous performance with an accent that mangled Cardiff with something unidentifiable and totally weird. Mrs Ubu was portrayed by Mike Shepherd (who started Kneehigh back in 1980) as a sort of psychotic panto dame. If you are in the area I’d urge you to see experience Ubu Karaoke; its run continues until August 25. 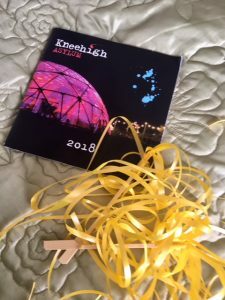 I don’t think it’s touring, but Kneehigh’s Fup is revived and playing in various venues across the country. 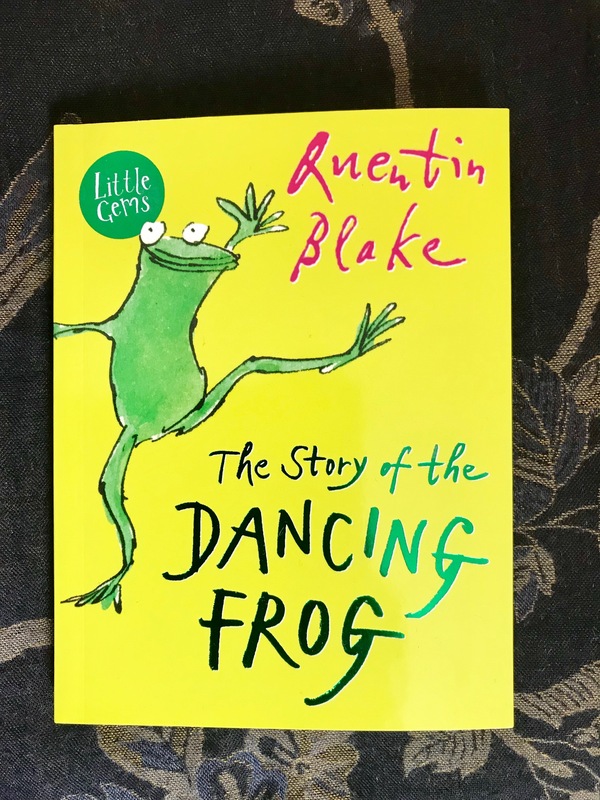 We’re taking the granddaughter to see their show The Dancing Frog next week – it’s based on the Quentin Blake story, and looks great fun, too. See also my post on Kneehigh’s Asylum performance two summers ago: The Flying Lovers of Vitebsk – based on the story of the artist Marc Chagall. 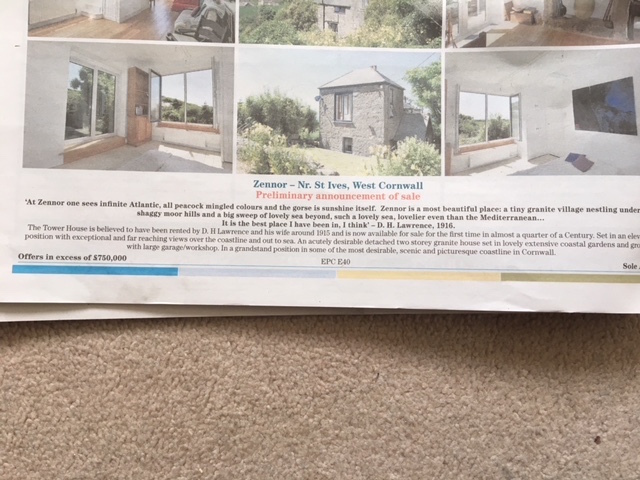 An advert in the property pages of last week’s local Cornish newspaper, The West Briton, provided the inspiration for today’s post. Two years ago I posted a series of pieces on DH Lawrence’s letters written during his stay here in 1916-17. I shall dip into these posts here, with some added material from the letters of that time (he was a prodigious, brilliant correspondent). What we have found is a two-roomed cottage, one room up, one down, with a long scullery. But the rooms are big and light, and the rent won’t be more than 4/- [4 old shillings, 20 pence in new currency, if I remember rightly: a pittance even then; it’s rather more expensive to buy now!] The place is rather splendid. It is just under the moors, on the edge of the few rough stony fields that go to the sea. It is quite alone, as a little colony. My picture left from the text captures the whole of the rest of this excited letter, with Lawrence’s sketches of the site plan. I see I’ve underlined his likening the place to ‘a little monastery’. As my posts of two years ago indicate, he was hoping to set up a ‘Rananim’, a sort of Utopian commune of like-minded higher spirits (with his own and Frieda’s at or near the top of the heap, he assumes, with characteristically disarming lack of modesty). If you can read the text in my picture you’ll see that he enthusiastically allocates living space to his chosen companions; the Mansfields were unable to put up with the primitive, ‘rugged’ living conditions and escaped to the ‘soft’ part of the county. ‘The walls of their cottage are rather damp,’ he admits in a later letter to Barbara Low (?30 May). Lawrence had a sturdier spirit, and preferred this ‘queer outlandish Celtic country [where] I feel happy and free’ [16 April 1916, Higher Tregerthen, to Catherine Carswell]. The place is perfectly lovely. 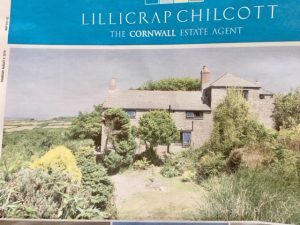 The cottage is tiny…The stairs go up at the side, nice and white, the low square window looks out at a rocky wall, a bit of field, and the moor overhead. The fireplace is very nice, the room has a real beauty. Upstairs is a good bedroom with a great window looking down at the sea – which is six fields away. 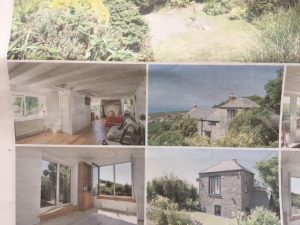 There is also a window, as in the living room, at the back, looking over the road on to the hill which is all rocks and boulders and a ruined cottage. It is very lovely, and dear to my heart. All this war, this talk of nationality, to me is false. I feel no nationality, not fundamentally. I feel no passion for my own land, nor my own house, nor my own furniture, nor my own money. Therefore I won’t pretend any…the truth of my spirit is all that matters to me. In October 1917 the police raided the house at Higher Tregerthen and the Lawrences were ignominiously evicted from the county, still half-suspected of being spies in the pay of the enemy. Lawrence in these last Cornish letters had given up on this Celtic paradise – ‘here one is outside England’ he had written ecstatically to JB Pinker from Porthcothan, nr Padstow, on 1 January 2016, on first arriving in Cornwall, before moving to Zennor – and was now talking of going instead to the actual, not his fantasy Celtic America/new found land, which despite its shortcomings was ‘nearer to freedom’. 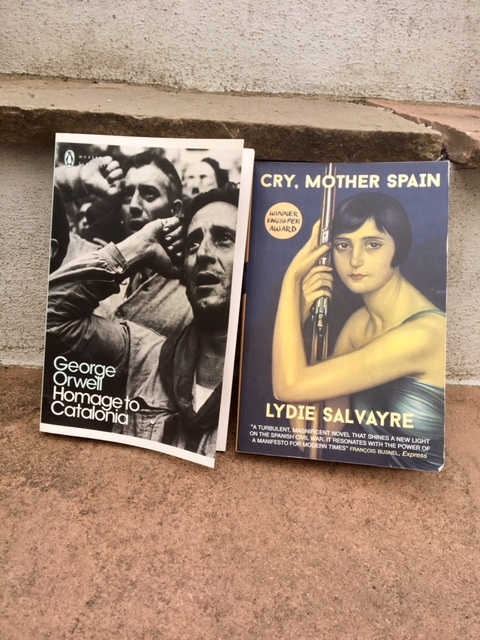 Having just been to Mallorca and read Lydie Salvayre’s Cry, Mother Spain, a novel about the impact of the Spanish Civil War on rural families in Catalonia (and parallel descriptions by Bernanos of atrocities perpetrated in Mallorca by fascist Francoists), about which I posted last week, I needed to reread George Orwell’s contemporary account of his experiences as a militia volunteer in Homage to Catalonia. It’s decades since I first read it, but it remained pretty clear in my memory as a searing, sad, highly personal story. First published in 1938, it describes his experiences in Spain from December 1936, soon after the war broke out, to June 1937. He’d served at the Aragón front, where to his frustration ‘little or nothing happened’, having spent the first weeks in desultory training in the Lenin Barracks, Barcelona, then recuperating in horribly ill-equipped and inexpertly staffed medical facilities after being shot in the throat. On leave in Barcelona in May ’37 he found that bourgeois class distinctions had returned and the revolutionary idyll had ended. He also found himself caught up in internecine street fighting instigated by the communist assault on the trade-union controlled Telephone Exchange, which resulted not surprisingly in an armed response from the non-Stalinist leftists. The loosely Trotskyist POUM militia (Partido Obrero de Unificación Marxista), to which Orwell had been assigned, naively unaware of the significance of its political allegiance, was anathematised by Moscow’s Comintern as traitors in the pay of the fascists, and hence a divisive and fatally distracting crisis ensued, probably enabling Franco’s forces to prevail while his opponents fought each other. It was an only too familiar leftist splintering and infighting that produced his enduring hatred of the Stalinist hard line with its intolerance of anything other than one-nation revolution and unwavering party loyalty, that he later satirised in 1984 and Animal Farm, and was to criticise in much of his non-fiction. Orwell got to Spain under the auspices of the British Independent Labour Party, (and, as he later learned to his cost, links with the largely Trotskyist POUM militia), whose recommendation took him to the revolutionary hotbed of Barcelona (setting of the key testing ground for the anarchist fervour of the two idealistic siblings in Salvayre’s novel), which was still under the control of the anarchists and anarcho-syndicalists, rather than to Madrid, where the struggle against the fascists was led by the Soviet-supported communists. Orwell was surprised and ingenuously delighted to find ‘one breathed the air of equality’ in a classless Catalonian capital, ‘where the working class was in the saddle.’ Symons isn’t far wrong when he describes the ‘romantic puritan’ Orwell’s reaction as ‘childlike wonder’. Who can blame him. Salvayre’s José was also delirious with excitement at what seemed the Spanish utopia: a truly classless society. But the euphoria was partial and short-lived. Orwell quickly realised there was something ‘pathetic in the literalness with which these idealistic Spaniards took the hackneyed phrases of revolution.’ Like José, he became disillusioned with the endemic lack of organisation , urgency or discipline in the militia (the ‘mañana’ mentality), largely peasant and urban trade unionist men with little military aptitude, and an average age of about twenty, with many as young as fifteen: ‘we were not real soldiers’. Life at the front, and his experience of war, was far from romantic or heroic; weapons were scarce, antiquated and more dangerous to the users than to the enemy. He rarely got to fire his decrepit rifle. ‘Above all it meant mud, lice, hunger and cold.’ He caustically lists, in decreasing order of importance, the five key things in the warfare he experienced: ‘firewood, food, tobacco, candles and the enemy.’ He notes the things only a person who’d been there could know, like the fact that ‘At the front, everyone stole’. So much for class solidarity. Even idealistic revolutionaries, he implies, are ultimately venal, materialistic and corrupt. As I noted in my post on Salvayre’s semi-fictional account of the war in Catalonia, there are timely references to the use of media and other propagandist modes of manipulation of opinion; in Orwell’s case this includes his scathing criticism of the blatantly biased reporting in the European press, either pro-Franco from such right-wing papers as the British Daily Mail (which continues to produce xenophobic, counterfactual ‘news’, in a manner encouraged and endorsed by the so-called alt right), or pro-Moscow in the leftist press. This is not a dry, political or even socio-historical treatise, though it doesn’t flinch from exploring such aspects of the complexities of this terrible war – that ‘appalling disaster’ he calls it near the end. There are numerous touches that reveal the flawed and only too human personality of the writer, who ruefully acknowledges that he played ‘so ineffectual a part’ in the war. He admits that when he was frightened in combat he didn’t function well as a soldier, or became so infuriated at the factionalism that, like José, he lost patience with those around him, revealing perhaps unwittingly his upper-class, Eton-educated origins, which he rejected but couldn’t entirely transcend. But it’s that bitterness about what could have been that lingers: those heady days in ‘equalitarian’, classless Barcelona, that so quickly reverted to the normal hierarchies of rich and poor. We still endure that legacy of power wielded by the power elites, who increasingly denounce, as the commissars did in Spain, any deviation from their truth, as fake news and, most cynical of all, unpatriotic. Ken Loach’s 1995 film ‘Land and Freedom’ depicts the experiences of a young working-class Liverpudlian man fighting in a POUM unit and undergoing a similar process to Orwell’s of elation followed by disillusionment. My thanks to Jacqui for her comment to my post on Salvayre, pointing out this piece on the novel by Naomi at The Writes of Woman blog. For the past two years I’ve made a visit to Plymouth in memory of my old friend Mike Flay, who died in May 2016. We used to meet a few times a year there and talk about books, football, family, education. 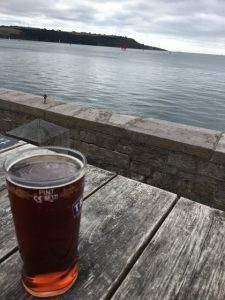 Here’s a link to the two previous posts, each of which has photos of the zones we frequented in the city, bombed heavily during WWII because of the Devonport naval shipyard – still a military base. The brutalist reconstruction has not been entirely picturesque, but the waterfront is still lovely. The Waterfront restaurant bar from the Hoe. Kids were having great fun jumping from the harbour wall into the sea. The last two years I went in July. This summer I’ve been away in Mallorca and otherwise engaged, so this year’s sad pilgrimage is a month later than usual. 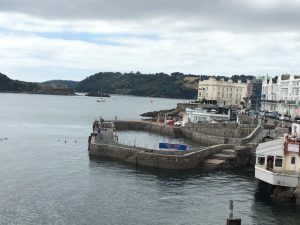 I did my usual dérive along the commercial bleakness of Armada Way and on to the Hoe. No bowls match in progress this time – locals nor ghostly Drake awaiting the Spanish Armada. 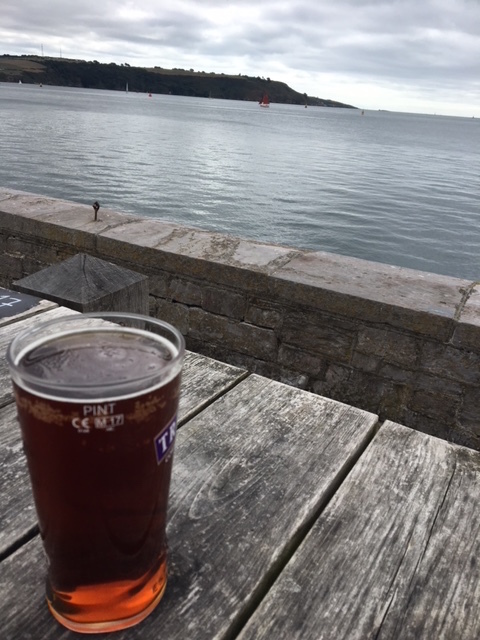 The customary pint of local brew ‘Jail Ale’ (named presumably for the famous Dartmoor Prison nearby) at the Waterside bar we used to patronise – where Mike would always have a burger, having started his journey earlier than me. No Brittany ferry passed by this time, either. A gaggle of Italian school kids perched on the wall nearby, legs dangling over the water, trying to look cool and largely succeeding, as Italian kids do. The attractively restored Tinside Lido, when I walked on, was much busier than last time. The sun had finally emerged after a rare cloudy start to the day; it’s been an unseasonably hot, dry summer in the west country, where we usually get more than our fair share of rain, even in summer. Now the fields look parched and brown – an unusual sight in this green land. On to the ‘colonial hotel’, as Mike called the Copthorne, close to the station. He was thinking of Conrad, though the comparison was ironic, for there’s not much of the Far Eastern exotic about it. A business couple talked earnestly about mortgages and financial deals. The young woman serving at the bar wore a name badge: Jelena. She’s one of so many who will unfortunately find Britain less congenial after the Brexit negotiations finally come to their dreary end. Not our finest time. The doors to the hotel are now locked and one has to press a button to gain access after speaking through an intercom. The bar now calls itself a ‘Brasserie’ – an unconvincing development. The toilets are also locked and it’s necessary to get a code number from the bar staff in order to get in there. Clearly the proprietors are expecting invasion of some kind. The layout of the lounge had changed, and the customary Sky News on the TV is now playing on a side wall, on a much bigger screen. Sports news was on: football transfer news (Mike would have enjoyed that, and grumbled about the state of Man Utd), cricket. As I sped back through Cornwall on the train home I felt the usual pained sadness of loss. The usual doubts about these trips: but I’m sure they’re not a wallow – they’re a celebration of his life.